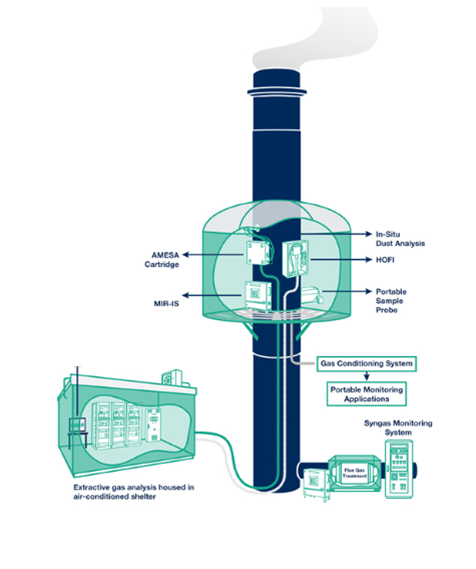 CEMS are installed at industrial process plants to continuously collect, record and report gas and dust emissions data from industrial process operators. CEMS are used as a means to comply with the stringent emission limits as sites are required to continually measure emission parameters to ensure that they are compliant, as defined in their site permit. Envirosafe Ireland provide MCERTS accredited Continuous Emissions Monitoring Systems; Gas Detection & Analysis Instrumentation; and Sequential Sampling Systems. We can offer complete turnkey solutions including data acquisition software, a comprehensive nationwide service offering with full service, repair & calibration capabilities.